GameBoy Advance Mother 3 sadly never got a Western release. That doesn't mean it couldn't possibly get a DS release. 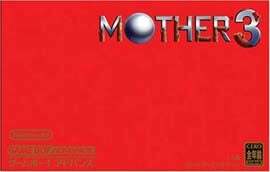 Nintendo funded studio Brownie Brown had a hand in developing Mother 3. Brownie Brown President Shinichi Kameoka said a DS port is possible — though, this is not an official announcement in any regards. "If we were asked to make one [a DS version of Mother 3]," Kameoka said, "then we would definitely like for fans abroad to play the game."